The compassionate tenderness of a woman. Little else can heal a broken heart the way this can. The fierce warrior that is a mother. No one else can summon up the powers of protection the way she can. This is the energy of Malachite; all in one magnificent, magickal and mysterious stone. As with so many other glorious stones the Egyptians were the earliest culture to use malachite, mining it from King Soloman’s Mines (not a bad way to start in this world!). From a very practical standpoint Egyptians found that Malachite easily reduced to copper for metal working. Spiritually speaking, however, Malachite’s mythology was much more spectacular. Hawthor, the goddess governing happiness, love, women and splendor had the nickname of Lady of Malachite. That’s a Divine connection that other metaphysical crystals will find difficult to surpass (well but for Lapis, who loves taking center stage and brag a bit). Malachite being sacred to Hawthor channels all her attributes, particularly among females in need. People wore it regularly in talismans and amulets. It was also a component of the distinctive Egyptian eye shadow called Kohl, a word that means “safeguard” or “protect”. So in this form as well as a healing stone, Malachite bears strong shielding energies including turning away negative spells and intentions. Some historians believe strongly that many women applying Kohl were using it as a means of invoking the Goddess perhaps for the purpose of possession. In Greece images of the sun carved on Malachite instilled them with exceptional magical powers. The sun chases away the shadows, provides strength and virility, and lights a proverbial fire under things that have gotten lackadaisical. The copper content of this mystical stone also means you can channel that energy in the direction its most needed, or transform it like the ancient smiths into the best energy matrix for that moment. In either context we recommend a ritualistic approach. Spellcraft works, but ritual really makes Malachite sing. While the Greeks focused on a solar aspect, Romans had a lunar view of Malachite. It was sacred to Diana, a young vital virgin who kept her independence. Stories tell us that Diana preferred living in the mountains close to the heavens. As such she became a guide for Fate, particularly kingship and maintaining the mortal realm by protecting women and children. Malachite has all these characteristics too. A stunning expression of Malachite’s connection to Diana is her Temple in Ephesus that’s adorned heavily with this beautiful stone. One of the visual characteristics of Malachite is a distinctive peacock-like pattern that also resembles an eye. In the Middle Ages people carried eye stones to avert the “evil eye” and sorcery. 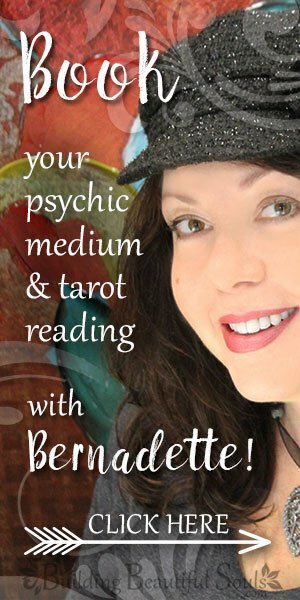 Modern metaphysicians use it for that purpose too, but in a divinatory kit of crystals it can represent ill-intent aimed in the direction. So much is the case that superstitions claim this stone breaks when danger’s near. The imagery also supports the symbolism of Visionary abilities. The deep green coloring of Malachite connects it to Mother Earth (Gaia) and the Devas. Fairies love this stone, particularly since it’s one of transformation. The diversity of Malachite’s energy makes it a very adaptable healing crystal suited to many situations. A quote by Michel de Montaigne sums up Malachite beautifully, “the finest souls are those that have the most variety and suppleness”. This most certainly the spirit of Malachite. 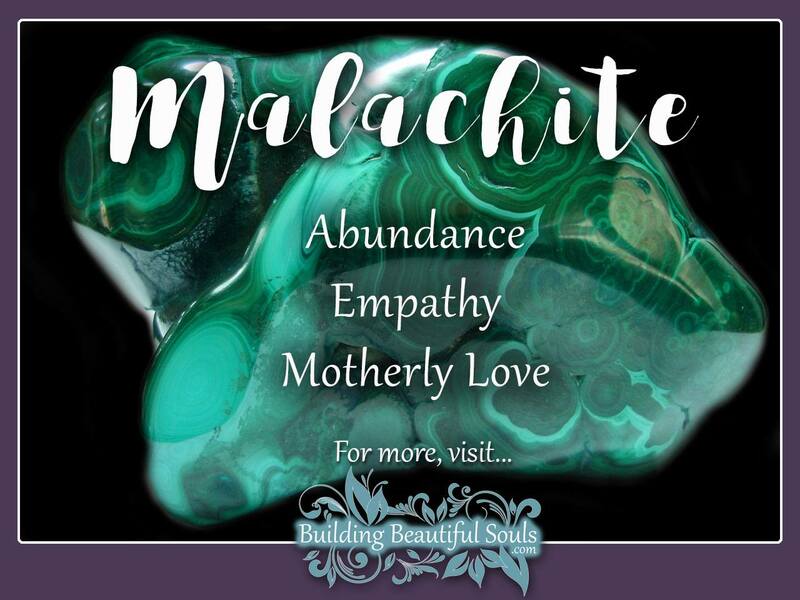 From a charitable or philanthropic standpoint, Malachite facilitates taking vision and manifesting it – giving you proverbial “legs” for a special project sure to touch the heart of humankind in profound ways. If you’re planning on sitting back and waiting on the Universe – forget it. This crystal spirit acts a bit like a fetch – drawing what you most need into your daily reality and stressing it until the lesson’s learned. If you’re not ready for that kind of movin’ and shakin’ then use Malachite prudently. Many specimens of Malachite combine with other minerals, such as Azurite, Cuprite, or Chrysocolla. Latin, Greek and French alike have words for Malachite that mean mallow-green-stone. The color of this metaphysical gem is very similar to the leaves on the Mallow plant. As an interesting aside that adds extra attributes to Malachite, Mallows feature in healing preparations specifically for cough, cold and throat irritation. That means that energy workers could use Malachite for similar assistance by placing a stone on the Throat Thakra.